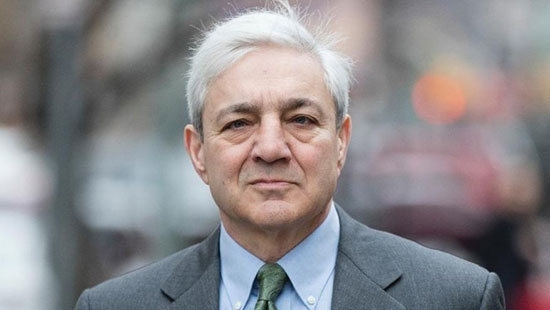 Former Penn State University president Graham Spanier was found guilty of one felony count of child endangerment. The 68-year-old was acquitted of another count of child endangerment and a count of conspiracy. The jury of five men and seven women deliberated a total of 12 hours on Thursday and Friday before reaching their verdicts. Spanier was accused of not properly reporting claims made in 2001 against former assistant football coach Jerry Sandusky. Former athletic director Tim Curley and former vice president Gary Schultz were also charged, but pled guilty to misdemeanor charges last week. They both testified at Spanier's trial this week. Spanier's defense opted not to call any witnesses or present any evidence. He is expected to appeal. A woman accused of kidnapping a baby from the King of Prussia mall last year has been found guilty during a bench trial on Friday. Cheri Amoore was convicted of kidnapping and concealing the whereabouts of a child. Last March 2016, Amoore went to the mall and struck up conversation with a woman who had a young baby and other children. She offered to hold the crying baby. While the mother was distracted with another child, she took off with the infant. Police were able to track her down and the baby was found within a few hours. Amoore initially told police that she had recently given birth and lost the child. Prosecutors said at trial that she brought the child to her parent's and presented it as her own. She faces 10-20 years in the kidnapping and 7 years for the concealment. Prosecutors will seek the maximum. The Election Fraud Task Force in the Philadelphia District Attorney's Office has launched an investigation into this week's special election in the 197th Legislative District. The DA's office received numerous calls on Tuesday regarding illegal activity at polling places including the use and placement of candidate write-in stamps, electioneering inside the polling place, illegal voter assistance and individuals writing on posted sample ballots. Because of missed deadlines and disqualified candidates there was only one name on the ballot, but many potential write-in candidates. The official results won't be announced until next week, but the supposed front runner is Emilio Vazquez, a write-in Democratic candidate. The task force is asking residents who have video, photographic or eyewitness accounts of fraud at the polls to call 215-686-8724 or email the Task Force at justice@phila.gov. UPDATE: Democratic write-in candidate Emilio Vazquez has been announced the winner of the special election in the 197th Legislative District. The Election Board tallied 2,483 write-in votes. Vazquez received 1,964 votes. Green Party write-in candidate Cheri Honkola received 280 votes. The other 120 votes were scattered among other people. Republican candidate Lucinda Little was the only candidate actually on the ballot in the heavily Democratic district. The Democratic Party's original candidate got bumped from the race because of residency issues. Vazquez will take the seat left vacant by Leslie Acosta who resigned following a corruption conviction.